Denon's DHT-S514 home theater soundbar speaker system will envelop you in rich, room-filling sound. Simple to set up and easy to use, the DHT-S514 transforms any TV into a home entertainment system, delivering truly wide range response including deep bass from the wireless subwoofer and clear mids and detailed highs from the multi-driver high fidelity soundbar. DHT-S514 features a host of high performance components to deliver rich, enveloping wide range sound. 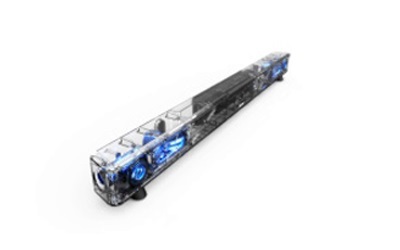 The soundbar features dual 2"x5" precision drivers that reproduce the upper bass and midrange audio, delivering clear audio especially in the vocal range. 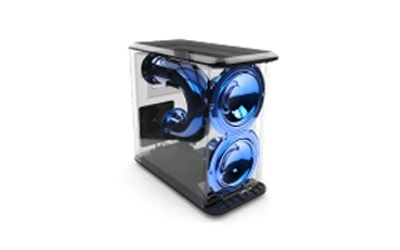 There are also dual ½" dome tweeters that reproduce the entire treble range, with response extending to 20 kHz. 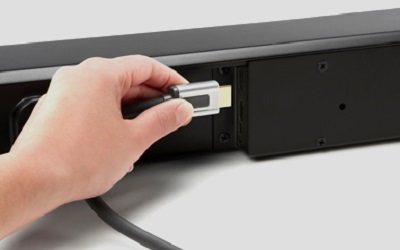 Simply connect the DHT-S514 to your TV with the supplied HDMI cable, and you can enjoy audio from your set-top box as well as enjoying audio from the TV. 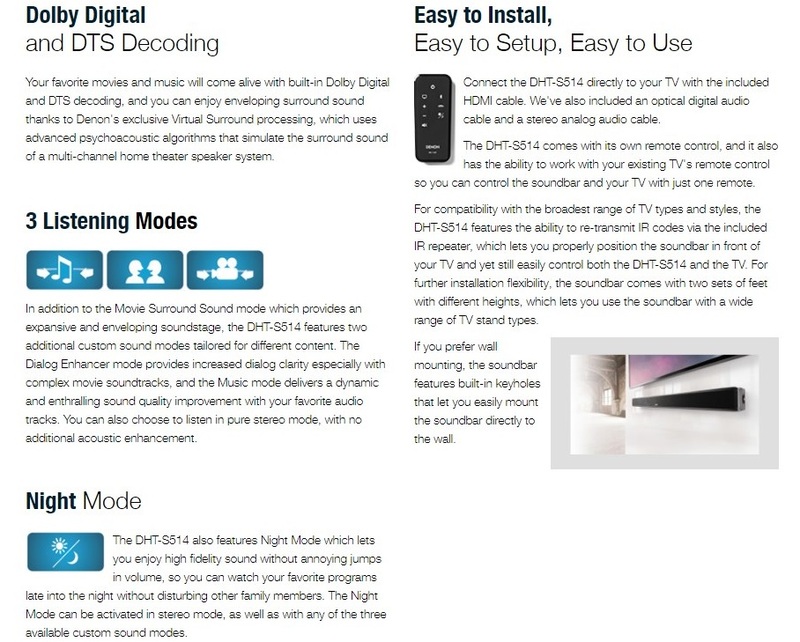 For TVs without ARC, you can connect the DHT-S514 via one of the two available digital audio connections — both optical and coaxial digital audio inputs are provided. 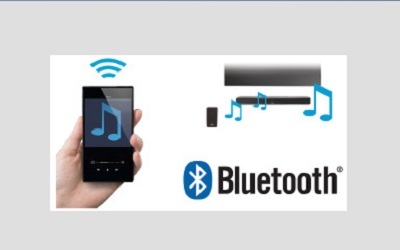 You can also stream music wirelessly right to the DHT-S514 from a compatible Bluetooth device, such as a smartphone, tablet or computer (with Bluetooth A2DP capability). We've also included aptX which allows for high quality music playback through Bluetooth.